Sneezing is something that we can’t avoid in our life and in fact animals are also sneezing in a number of times daily. However sneezing sometimes has been associated with negative perceptions and bad myths. 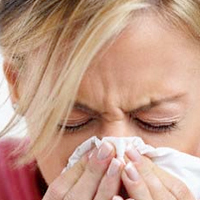 One thing that you should know is – sneezing is good for your body and there are various ways for safe sneezing. Today I’ll share with you 3 tips for safe sneezing. Yes, this is the most important tip to be remembered – cover your mouth when you are sneezing! In fact sneezes travel at about 100 miles per hour and it contains various disease-causing microbes. So cover your mouth with handkerchief, your elbow or your cloth. If you use your hands to cover your mouth when sneezing, watch them instantly with clean water to avoid any infection. When you feel that you want to sneeze, let it be and don’t hold it. It is because the habit of holding sneeze can cause damage to your eardrum and hearing system. If you are in certain occasion where you want to avoid making any noise, face the ground and start sneezing. Sneeze is good for your health but it’s different if you are sneezing too much. The continuous sneezes might caused by allergic, flu, symptoms for fever or etc. And if this happens, meet your doctor for treatment and advices and if you realize there are elements that cause you to continuously sneezing such as dust, go away from the elements or cover your mouth and nose with cloths.